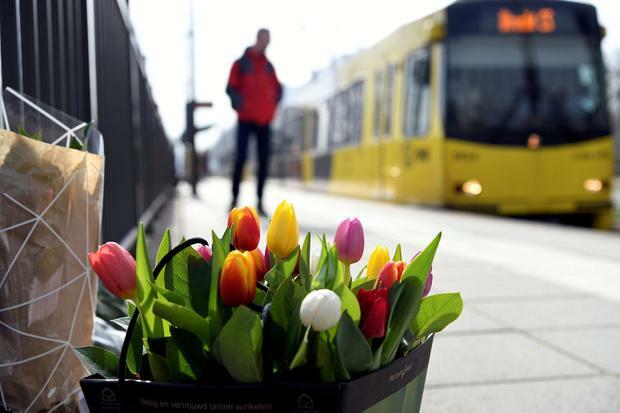 Dutch prosecutors yesterday said they were "seriously" investigating a terrorist motive for the Utrecht tram attack after discovering a letter in the gunman's getaway car. Police were questioning the prime suspect, Turkish-born Gokmen Tanis (37) and two other men over Monday's shooting in which three people were killed and seven injured. "So far, a terrorist motive is seriously being taken into account. This is based on a letter found in the getaway car among other things and the nature of the facts," said prosecutors and police in a statement. "Our investigation has established no link between the main suspect and the victims." The three people who died were Roos Verschuur, a 19-year-old woman from Vianen, south of Utrecht; Rinke Terpstra (49), a youth football coach and father of three; and a third, unnamed man (28) from Utrecht. Despite the terror suspicions, prosecutors said that "other motives are not being ruled out". Armed police captured Tanis after an eight-hour manhunt that brought the Netherlands' fourth largest city to a standstill amid a security lockdown.